The Phreedom Records collective known as “Tha Team” is comprised of Torrey “Mastamynd” Paul, Kenneth “K.G.” Green and Gentry “G.O.” Dixon, three New Orleans souls that are dope in their own right, but even doper together. The trio agrees that, despite the turmoil caused by Hurricane Katrina and its aftermath, their art has been elevated as a direct result of the disaster. Suffice it to say, New Orleans culture and the State of Louisiana as a whole, have had a huge influence on Tha Team. Mastamynd Though the members of Tha Team have endured many hardships in life, they have made the choice to rise above their many misfortunes to become leaders among their peers. They’ve worked together to finely hone their craft and continue to put forth a diligent effort to reach the pinnacle of their respective careers. Its members have opened for quite a few legendary acts, including Juvenile, Wu Tang Clan, Mystikal, Partners-N-Crime, UNLV, Big Freedia, David Banner, Lil Boosie, T.I., Devin the Dude, and more. 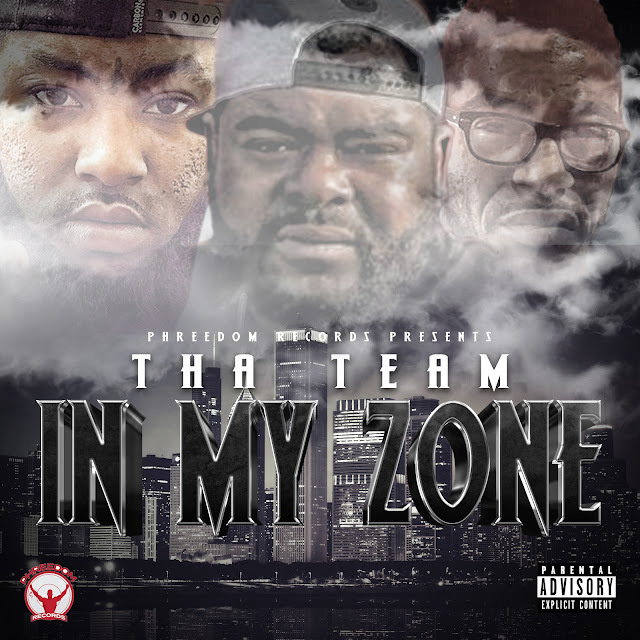 Whether it was freestyling as a youngster or working long hours in the studio, the members of Tha Team have shown “teamwork makes the dream work”. K.G. Tha Team recently returned from a tour along the East Coast, Midwest and Northern regions of the U.S. During the course of that tour, they stopped off in Detroit for one of their many performance and to film visuals to an upcoming release. G. O. Dixon Together and individually, Tha Team dreams of not only rising through the ranks of the entertainment world, but its members plan to become business owners in order to provide solid opportunities for themselves, as well as others. Be on the lookout for Tha Team!